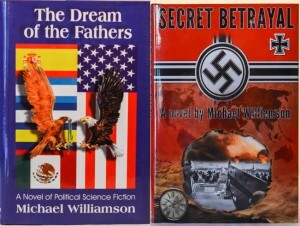 If you need multiple copies of The Dream of the Fathers and/or Secret Betrayal, whether for a book club, discussion group, or classroom, Experion Institute can cater to your needs. We believe that a good novel ought to stimulate lively conversations and critical thinking among one’s companions. See below for details. Minimum purchase to participate in this program is six copies. Please email us directly at Info@experioninst.com and tell us the number of copies you require. We will sell them directly to you in a bulk shipment. Read the books, have your discussion and then provide a book review of at least 60 words and we will send you a refund equal to 50% of your purchase including shipping charges. What could be better? You get to read a great book that is sure to provide plenty of ammunition for a lively discussion, and you buy the book for less than wholesale.